In the event game is tied at end of regulation, a 5 minute run time overtime is played. (Playoffs are 5 minutes stop time and shoot out if not decided in overtime) No time outs in the overtime period. 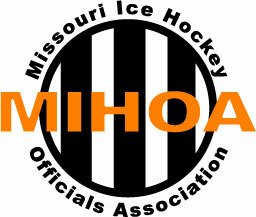 All major penalties are given automatic Game Misconducts. Game ejection is to be used only for enforcement of zero tolerance. Please do not allow players to negotiate a game misconduct down to a game ejection. If player is assessed four minor penalties in a game, automatic 10 minute misconduct added to fourth minor penalty. Each subsequent minor penalty is assessed automatic 10 minute misconduct. Games are played in the event of a goalie no show. The team without a goalie may skate with 6 skaters. Games are played without a scorekeeper. In the event there is no one to run the clock, play three 25 minute run time periods. Minor penalties are three minute run time. Home team is required to keep statistics on a scoresheet. Scorekeeper is responsible for enforcing HNA uniform policy (includes ear flaps required). Players are to have helmets on at all times while on the ice and sitting on the bench. This includes the handshake line at the end of the game. See you at the rink!